Most of us at Cognac Expert are fortunate enough to travel quite a lot. But of course, being away takes you from all your home comforts–such as knowing exactly where you can get your hands on a decent Cognac to drink. It’s a strange truth that despite the worldwide penchant for our beloved Cognac, most bars only stock a boringly predictable few bottles. And most of these are at the lower end of the quality range, and solely from the most famous houses, such as Hennessy and the like. Now, we’re not saying that there’s anything wrong with the big brand names. 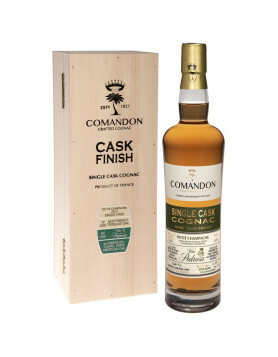 But for the Cognac aficionado? Well, a little diversity is something to be encouraged. 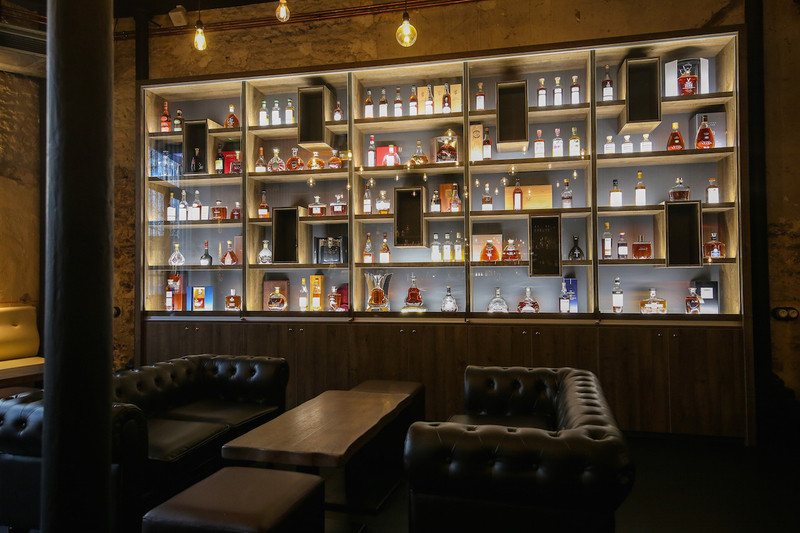 So, intrepid Cognac drinkers of the globe, the Cognac Expert team has taken on the ‘terrible’ task of seeking out some super cool locations in which to sip your favorite drink. They’ve made our list due to a number of reasons: The Cognacs they stock, the ambiance of the bar itself, the expertise of the bartenders to serve delicious Cognac cocktails, or simply because we just like them. Sometimes a bar with a small range of lesser known Cognacs can be as good (or better) than one that stocks 50 or more. So without further ado, let’s run down what we at Cognac Expert believe to be some of the best bars in the world to enjoy a glass of Cognac. You’ve got to hand it to the Aussies, as they certainly don’t do things by halves. Ramblin’ Rascal currently stocks around 70 different Cognacs and for the last few years has been concentrating on growing the range they offer. “Cognac has for too long been considered a stuffy old man’s drink, instead of a versatile, yet still refined, amazing spirit. It’s the perfect accompaniment for any type of occasion, and should be enjoyed more. Whether that be sipped neat, mixed with fresh pressed Granny Smith apple, or banged out in a cocktail, it holds its own and should be shared more”. Naturally they stock some staples from the bigger houses, but we were delighted to see that they’ve got some real gems from some of the smaller houses too. These include delights such as the Dudgogon Folle Blanche, Croizet XO, Jean Grosperrin Fins Bois Organic 2001, J. Normandin Mercier La Peraudiere, and Paul Giraud VSOP. There are also some delicious offerings from the bigger houses: Martell Noblige, Hennessy Master Blender, the Camus Borderies XO, and Courvoisier 12 Year Old Cognac. And they also stock a good range of Armagnac too. Lehmann tells us that the most popular Cognac his customers drink neat is Martell Cordon Bleu, and that the most common Cognac they use in a cocktail is either Martell VS, or their VSOP. 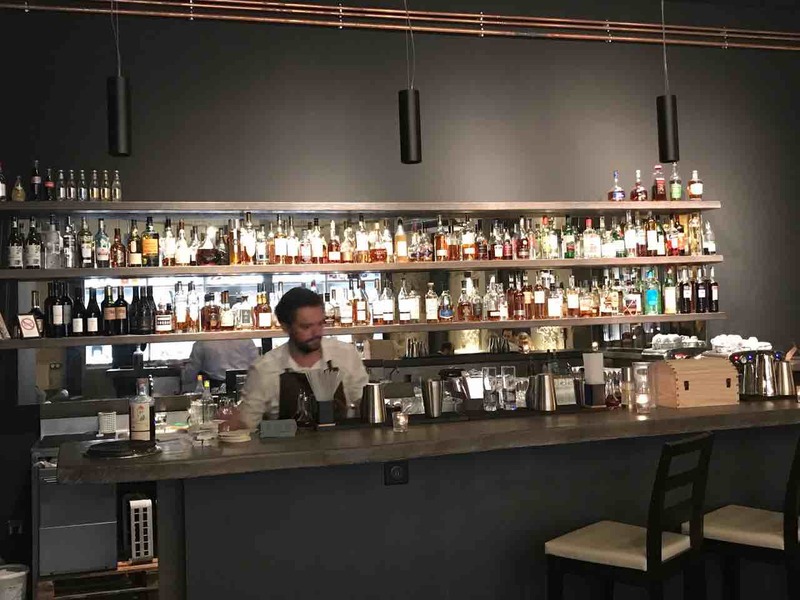 So if you’re heading Down Under, and fancy a great place to choose from an awesome selection of Cognacs, then this Sydney bar is definitely worth a visit. And if you want to fit in like a local, order their most popular Cognac cocktail, the Swinging Richards. Ramblin’ Rascal Tavern can be found at 199 Elizabeth Street, Sydney, NSW 2000, Australia. This unassuming bar in Hamburg, Germany might not have the largest range of Cognacs, but they sure know how to make a mean Cognac cocktail. And so they should, because this is without a doubt one of the very best cocktail bars in the whole of the city. Once inside there’s plenty to like: from the ambient lighting to comfy seating, not to mention the excellent bar staff who really do know their stuff when it comes to cocktails. They stock a single brand of Cognac – Park – at VSOP and XO qualities. Some of the clientele at Le Lion enjoy it neat. And we have to agree that the multi-award winning XO offering from Park is so very good enjoyed this way. But seeing as Le Lion is a specialty cocktail house, it would be almost rude not to indulge in their expertise. You’ll find Le Lion at Rathausstrasse 3, 20095 Hamburg, Germany. This delightful bar on the banks of the Charente River, surely has to be the most authentic place in the world to enjoy Cognac. After all, it’s been scientifically proven that the location in which you taste a drink or foodstuff has a direct impact on your pleasure levels. So drinking Cognac in Cognac? Well–prepare to be hit by a multi-sensory explosion! 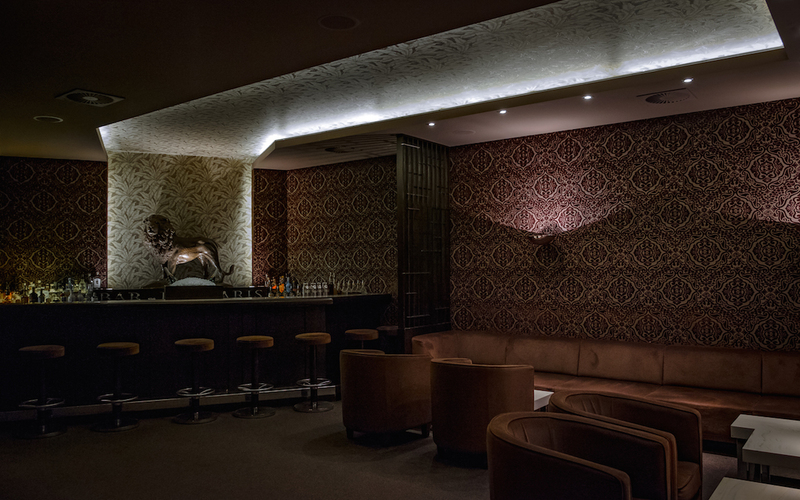 Luciole is the beautifully located bar run by Guillaume Le Dormer and Tony Conigliaro. And it’s a bar that literally pays homage to the delights of the humble Cognac. “It’s almost like we have two bars in one. On one side we have the VS and VSOP Cognacs that we use for our bespoke cocktails. 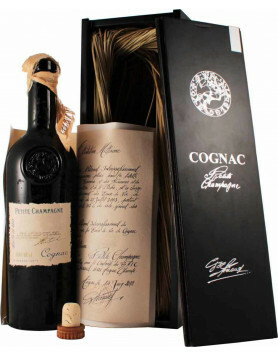 And on the other side we have the older Cognacs that we use for neat sipping”. Being as the bar is located in the center of Cognac, producers can communicate directly with G and Tony, presenting their offerings to be included in the bar. This makes their collection wonderfully eclectic­–from the largest of the ‘big 4’, down to the smallest of artisan producer. Having such a large collection means there isn’t a single Cognac that they can pinpoint as the most popular. Most people tend to try a two or three when they visit. The Luciole team showcases a different house each month, and have regular events where they might pair Cognac with delectibles such as chocolate or cheese. If you order a cocktail from the large selection on offer it’ll be created according to your personal tastes. You’ll be asked a couple of questions about your preferences, and your answers will determine the Cognac that’s included. This really is bespoke Cognac cocktail making at its best. The most popular cocktail they serve is the Avignon: a combination of Cognac and homemade chamomile syrup, in a smoky glass with frankincense. If you’re in the area, head on down to Bar Luciole at 14 Place du Solencon, 16100, Cognac, France. 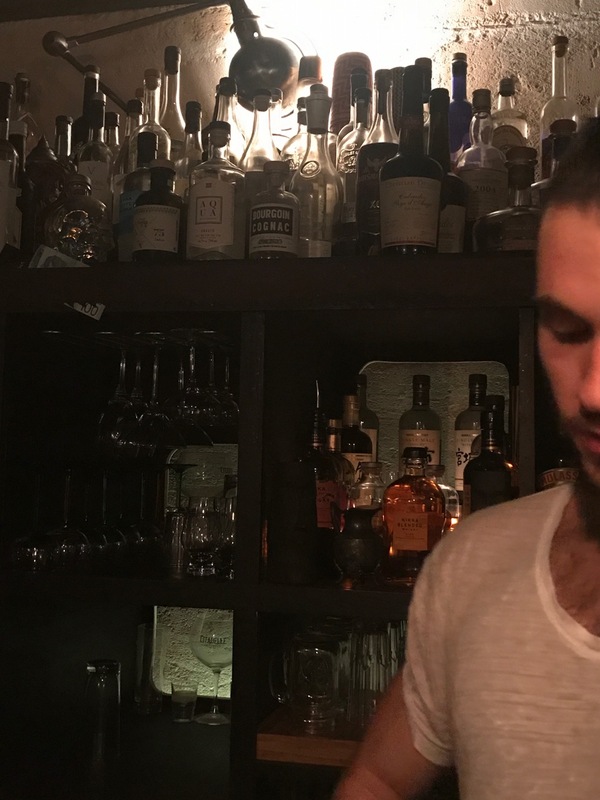 This tiny bar is sophistication at its finest, with a delightful range of 25 different Cognacs–and pretty much the best selection you’ll find in the city. And they make some mighty good cocktails too, with their own unique take on some uber-classics. 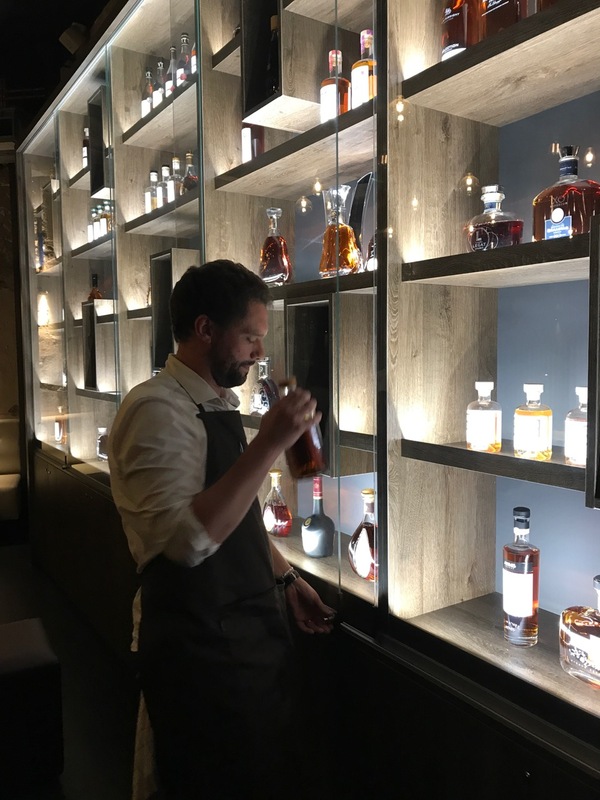 If you’re on the hunt for a place that feels like you could be sitting in a close friend’s front room, with, of course, a damn fine Cognac collection, then this Chicago speakeasy really does have everything you could wish for. Their selection of Cognacs range from VSOP qualities right through to vintages, and it’s a super place to visit in order to try more difficult to find Cognacs from small craft producers. In fact, we were delighted that Beverage Director, Micah Melton, told us they stock Cognacs from the artisan producer, Jean Luc Pasquet. 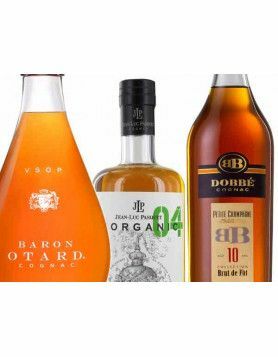 Read more about them in our brand focus on this organic Cognac specialist. 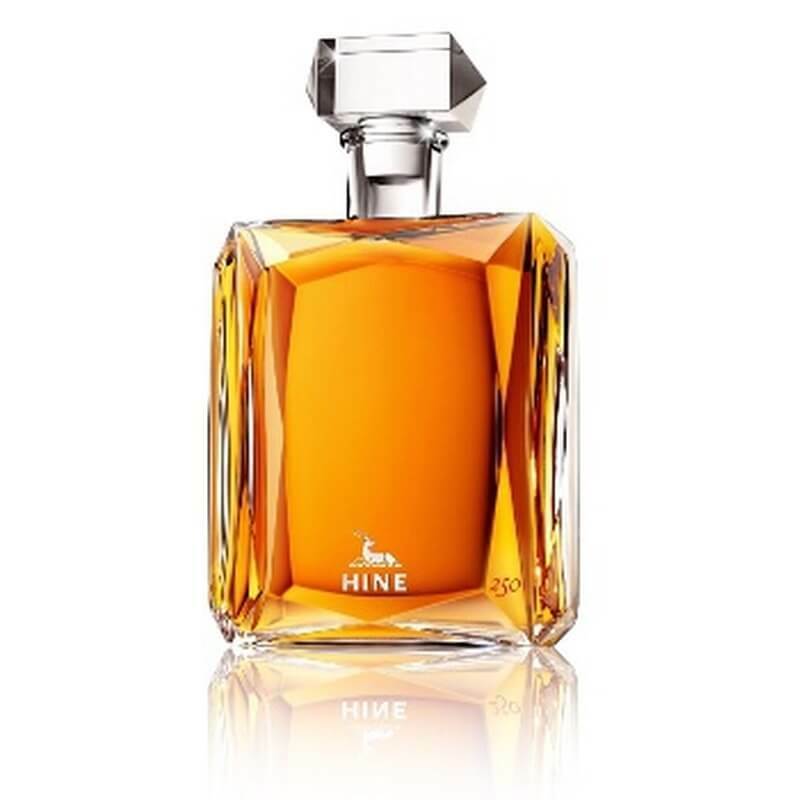 When it comes to Cognacs used within a cocktail or a long drink, the most favored is the Pierre Ferrand 1840. And the most popular cocktail they serve? It’s a toss up between the Sidecar and the Vieux Carre. The Office can be found behind The Aviary, at 955 W Fulton Market, Chicago, IL 60607, USA. 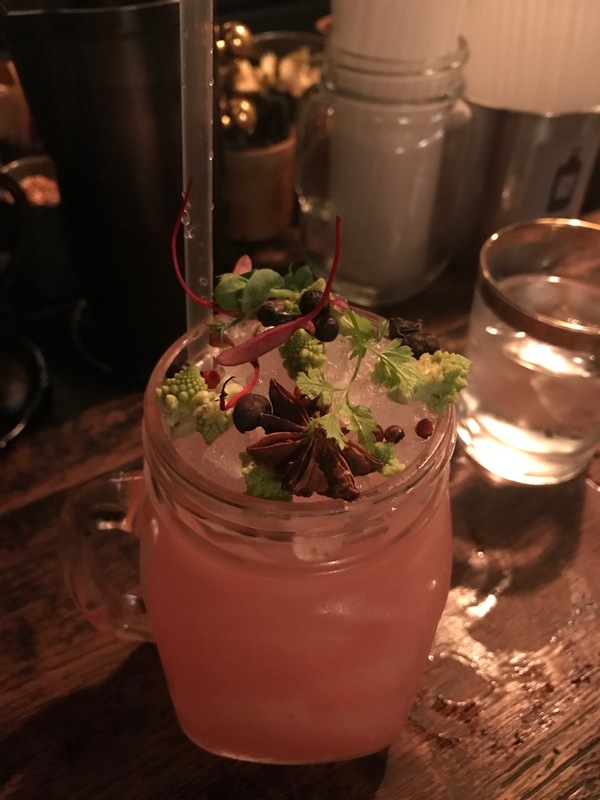 This funky little bistro–come–cocktail bar in the town of Bordeaux not only serves a decent range of Cognacs, but they certainly know how to mix them up in a delicious cocktail. Each is prepared solely for you, with the young mixologists more than happy to tell you everything you’d care to know about their creation. And, of course, the Cognac in it. Many people wax lyricial about this being the ‘best bar in Bordeaux’. And you know, they may well be right. When it comes to pure quantity, The Brandy Library has to get a mention. At last count there was over 150 choices listed on their menu, including some hard to find names such as Guillon Painturaud and Delpech Fougeret. They also serve a decent selection of one of Cognac Expert’s favorites, A. E. Dor. You can find The Brandy Library at 25 N Moore St, New York, NY 10013, USA. Located within the luxurious Ritz-Carlton Hotel, the décor is the epitome of timeless class. Think leather armchairs, vast wooden panels, and unobtrusive lighting. An oasis from the city madness outside, this is the place to simply sit back and let the expert staff help you choose from a vast selection of Cognacs, not to mention cigars, chocolates, and an enormous array of single malt whiskies. This is the second bar in the city of Cognac to make it to our ‘best of’ list, and with very good reason. Bar Louise is a Cognac–come–cocktail bar with an eyewateringly large selection of our favorite drink. Hundreds of bottles adorn the walls behind the bar, and the focus here is totally on how to have fun with your Cognac. If you’re looking for a chance to taste some seriously old vintage Cognac, then head to the Connaught Hotel in the heart of London’s prestigious Mayfair district. Inside is the Coburg Bar, where you’ll feel like you’ve stepped back in time to an age when the Empire still existed and none of this new-fangled nonsense such as smart phones and the World Wide Web were even a glimmer of an idea, let alone reality. The Cognac menu is somewhat Hine biased. But hey–if you’re looking for an opportunity to taste delights such as the Hine 1953 or the Hine 1914, then this certainly is the place to be. Love the brandy library in NYC. They have Cognac flights of 6 samples each which is a great way to try many cognacs at a decent price. Must go to bar in NYC for Cognac lovers.